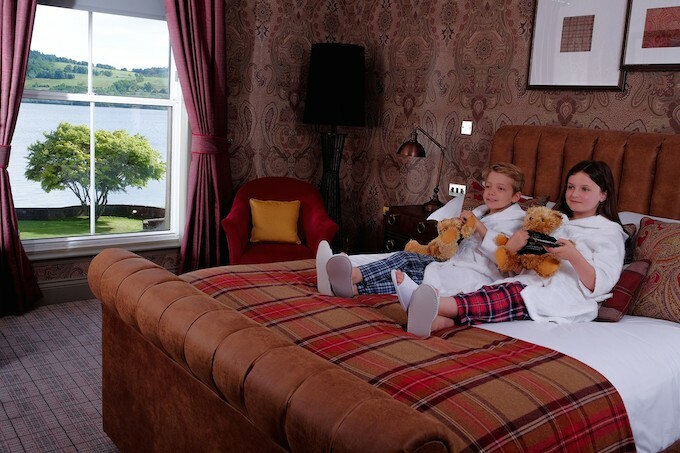 Luxury Scottish resort Cameron House has announced the launch of its new Cameron Kids offering, which treats youngsters to their own slice of luxury during a stay at the five-star property. Located on the banks of Loch Lomond, Cameron House – which has units affiliated to RCI – now offers an extensive kids’ offering with the addition of the new Cameron Kids package. Children will be welcomed to the resort with a colourful activity pack that includes quizzes and games, as well as space to record their activities during their stay – encouraging them to make the most of their time at the resort. Along with the activity pack there will be a Cameron House teddy, plus games provided in their bedrooms, ensuring that children feel just as cared for as the grown-ups. Kids will also have their own dressing gowns and slippers during their stay, with hooded ponchos available for the smallest. Guests travelling with babies are able to travel light, as Cameron House now provides everything they need for their little one. Amongst other necessities, guests can have a Moses basket, bottle warmer, cold water steriliser and baby bathtub in their room upon request, and if needed, baby-sitting services are available for mum and dad. With the launch of Cameron Kids, use of the swimming pool and waterslide, a top of the range children’s arcade, seasonal activities, plus loch cruises, segways, mountain bike hire, lawn games and falconry there are more ways than one to inject some fun into your stay. Be it soaking up the great outdoors, trying something new or simply enjoying the scenery with a walk along the shores, five-star resort, Cameron House is encouraging visitors and locals alike to explore Loch Lomond and the surrounding area. Champagne Cruise on Loch Lomond – Experience true luxury on-board the Celtic Warrior, the legendary Cameron House motor cruiser. With a selection of cruise types on offer, including a family cruise and exclusive private hire, a trip on the Celtic Warrior will add that extra sparkle. Discover the beauty of the surrounding areas of the resort from a comfortable lounger, with a glass of champagne in hand. 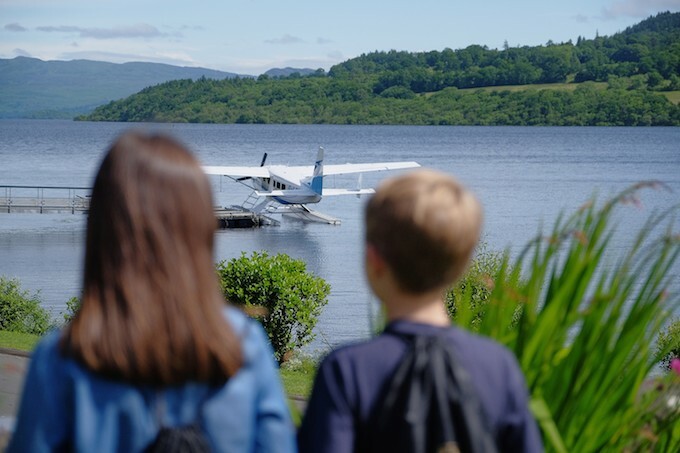 Seaplane Trips – A flight in the seaplane is a highlight for many visitors to Cameron House, giving stunning views over the resort and Loch Lomond. As you soar high up in the sky, you’ll be amazed at the stunning birds-eye views of the lochs, glens, and rugged mountain peaks of the likes of the famous Ben Lomond. Segway Safari at Cameron House – New for 2017, get involved in an exciting off-road guided Segway tour around the Cameron House resort. Don’t worry if it’s your first time hopping onto a Segway, expert guides will be on hand to take you through the basic manoeuvres and steer you through winding woodland paths and off-road tracks. Discover breath-taking views and historic scenery throughout the National Park. The Spa at Cameron House – Relax your mind and refresh your body with a visit to the very tranquil Spa at Cameron House. This destination Spa offers 17 treatment rooms and the spa therapists are all trained to the highest standard to deliver the best treatments. The rooftop infinity pool is a highlight at The Spa, boasting views across the world-famous Carrick golf course and Loch Lomond, and heated to 36⁰C you’re guaranteed not to get cold. The Carrick Golf Course – Golfers are truly spoilt for choice when it comes to a great game of golf on Loch Lomond. Play the cheeky 9-hole ‘Wee Demon’ as a testing warm up to the 18 holes on the championship Carrick golf course. The beautiful landscape will serve as motivation to take your best shot. After a round, enjoy a rewarding drink or a bite to eat at The Claret Jug or The Boat House restaurant. Mountain Biking – Also new for 2017, Cameron House now offers bike rental for guests staying at the resort. As well as being a healthy sport and a good way to get around, cycling through the grounds among the scenery and lochs is a great way to pass the time. Expert guides are on hand to advise of family safe cycling routes. Full day or half day bike hire is available, so what are you waiting for? Falconry Experience – A unique falconry experience will teach you how to handle birds of prey, including how to correctly call and cast off the bird. Once you’ve mastered the basics of calling and casting off, you’ll be taken into the grounds of the hotel to put the theory you’ve learned into practice, with your own bird of prey. A perfect activity for the whole family and suitable for children from seven years old. Pony Trekking – Located only five minutes from Cameron House, this activity is a fantastic experience. The sure-footed and well-mannered ponies, Chrissie, Petra, Bailey and Glen, along with experienced ride leaders, will take you on a leisurely trek through the tranquil Scottish countryside. Go through rugged terrain of the surrounding moorland that overlooks the Trossachs National Park. Glengoyne Distillery – Glengoyne is one of the leading premium malt whiskies in the world. This award-winning malt is the product of an unconventional process, remarkable ingredients and the pride and passion of people. Visit the distillery in nearby Killearn to learn more about the techniques and processes that goes into creating this world-renowned whisky. Take part in tours, master classes and whisky tasting and have the opportunity to buy a bottle or two. Explore Scotland’s first National Park – Loch Lomond and The Trossachs National Park is a delight to explore with stunning bays and scattered islands. The area is a walker’s paradise with The West Highland Way, Conic Hill in Balmaha and Ben Lomond, one of the most popular hills in Scotland. Be amazed at the scenery and soak up the breath-taking views of the sunset. For more information visit www.cameronhouse.co.uk.